Sometimes the most obvious solution to a problem is the last to get adopted, but as the pressure to find suitable talent grows, referral schemes are taking centre stage and a new app is making a big difference in recruitment. The instinct to ask around when you’re looking for someone to help has long found a place in recruitment in the form of harnessing employee networks and asking those around you if they know someone they’d put forward for a role. Now, a ground-breaking Irish tech start-up has taken that to the smartphone generation and created a 24/7 solution for hard-pressed HR departments hunting for talent. HireUp was started by two software developers, David Maloney and Nathan Doyle, in 2016 and it quickly secured funding from Enterprise Ireland’s competitive start-up fund followed by mentoring from the Dell Global Entrepreneur Programme. Now the company is growing fast with clients in Ireland, the UK, Poland and Norway, and it’s been so successful for professional services organisation KPMG, with the company receiving more referrals in just over six weeks since using the app than during the whole of the previous year. HireUp also plans to expand into the US. Referral schemes are not new, but HireUp is made for a workforce that is always online. According to research in 2018, the average adult spends 3 hours 35min per day on mobile devices, with 90% of that use via apps. This is the social and mobile generation of millennials and others who connect with the world around them through apps on smartphones and tablets throughout their day, whether they’re working or not. In addition to the success with KPMG, the app is also having a big impact with other companies such as Permanent TSB, which is seeing its speed to hire increasing rapidly, due to the quality of referred candidates. And in a fiercely competitive field, HireUp is constantly innovating to stay on top of the game and will soon be offering customers a special internal recruitment feature. HireUp’s four pillar areas are finance, legal, tech and pharma, with a growing interest from public sector, engineering and retail. The software can lend itself to any business, but it performs optimally for firms with 500 employees or more. With strong growth in the UK and Ireland, the company secured €500,000 in February 2019 from, among others, the EY Entrepreneur of the Year, Patrick Joy, of Suretank Group. AI set to take the strain in the search for new talent. The volume of candidates for jobs is increasing dramatically as employees often only stay with companies for short periods. They now seek new opportunities to develop their skills and careers, with the aim of moving onwards and upwards quickly. The result is that the revolving door of vacancies and recruitment is speeding up. Recruiters’ time is increasingly taken up with a process that can seem never ending. According to a 2018 report from recruitment specialists Hays Ireland, 46% of new employees have left a job within the first 12 months. “Twenty years ago, people looked at their career and wanted to stay in the same place. They needed to build their foundations, that’s how you got promoted, that’s how you got the big money, doing your time with one company, but now it’s the opposite,” says Caroline Gleeson at tech start up BidRecruit. Gleeson saw an opportunity where others saw an escalating workload. Working with two colleagues, she founded BidRecruit, an AI-led company offering smaller businesses all the benefits of machine learning, but at an affordable cost. BidRecruit works on a three phase process, offering HR managers a model of ‘Engage, Manage, Report’. Crucially, highly accurate real-time metrics ensure rapid feedback of how the platform is performing. 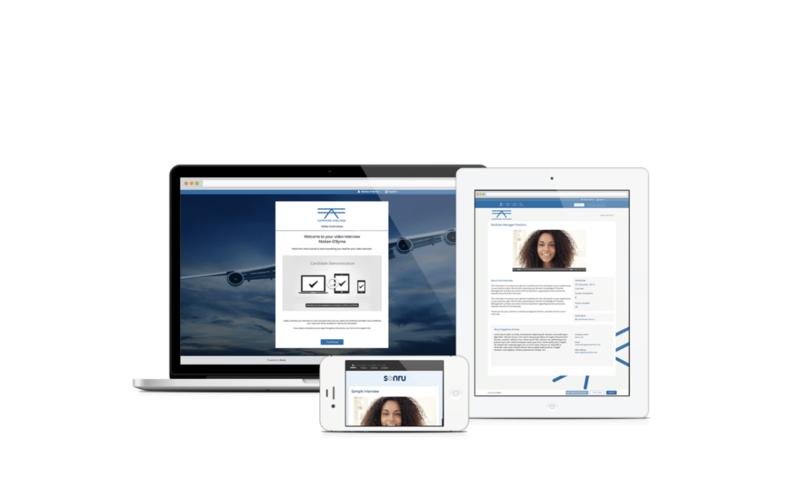 On ‘engage’, a client can instantly share the available job across multiple recruiting channels, with free posts to premium jobs boards in a single process. Targeted job advertising to Facebook and Instagram and an integrated careers page is enhanced by access to a recruiter marketplace where clients can engage and evaluate more than 150 specialist recruitment agencies. The ‘manage’ phase allows a client to track and manage candidates easily, with personalised steps in the recruitment workflow. Added to that are customised email templates and mass mailing features, with the option to prioritise preferred recruiters and notify them first of new opportunities. It is here also that the AI function screens CVs and shortlists the best candidates according to highly configurable criteria. It’s here that BidRecruit offers recruiters a massive reduction in workload with an algorithm that is increasingly sophisticated in its selection. Finally, the ‘report’ phase ensures clients can accurately measure performance and ROI, know where CVs originate and monitor activity with real-time analytics so clients know which channels are yielding the best return. But the road to AI freedom has not been without its problems. In 2018, Amazon had to ditch its AI-powered CV sifting system when flaws appeared to give it a bias against female candidates applying for engineering positions. The algorithm driving the software had used a ten-year historical record of successful CVs and in a male-dominated industry, this worked against women applicants from all-female US universities. It dealt a blow to those hoping that AI is the silver bullet for overloaded recruiters, but Gleeson is convinced that machine learning is here to stay, despite the hiccups. And AI could just be the beginning in recruitment, as more and more personal data is available to be read. Machine learning can be applied not just to CVs but to body language in automated video interviewing, voice patterns in phone interviews, social media content and more besides. It may be taking the weight of tedious repetitive tasks in the short term, but as it becomes more sophisticated it will get closer to the more intuitive and creative functions that humans excel in. BidRecruit has been assisted in its growth by Enterprise Ireland, the Irish Government’s trade and innovation agency. “Internationalisation is a key element of BidRecruit’s growth strategy, and they are supported in their expansion into the UK and Poland by Enterprise Ireland,” says David Corcoran, Global Talent Management Lead at Enterprise Ireland. “Identified by Enterprise Ireland as a high potential start-up, BidRecruit initially received support from the agency’s Competitive Start Fund in 2017, and undertook a seed round of funding supported by Enterprise Ireland in 2018. Image caption: left to right, Enterprise Ireland’s HPSU Department Manager Joe Healy; BidRecruit CEO Caroline Gleeson; and Minister for Business, Enterprise and Innovation, and Heather Humphreys TD. When leading on-demand food delivery company Deliveroo wanted to add value to its relationships with employees, contractors and partner restaurants, it found an innovative, agile partner in Irish company Wrkit. Dublin-based Wrkit specialises in employee engagement software and has developed an innovative modular system that runs on one platform, making engagement easy for users and effective for companies. The five modules currently on the platform cover an extensive range of engagement areas and have created substantial growth opportunities for Wrkit. As well as the original Lifestyle Savings module, the company now offers a powerful Wellbeing module, which helps users to manage their mental and physical health, a Recognition module to celebrate staff accomplishments and drive performance, and a Learning module, linked to proactive and innovative educational and skills partners that encourages continuous personal and professional development. Another module, Surveys, is an invaluable management tool that captures the mood of a business. Wrkit’s engagement with Deliveroo began when it won a bid to provide its lifestyle and learning benefits to the company’s staff. Like most companies, Deliveroo must recruit, retain and engage staff, but also has to consider contractors (its riders) and an expanding partner restaurant network. It was not surprising, then, that Deliveroo contacted Wrkit again when it began to look at how it could add value to its restaurant partnerships. “We partner with 17,000 restaurants in the UK and Ireland and have developed strong relationships with so many of them,” explains Tom Rae of Deliveroo. “The hospitality industry is facing a number of challenges such as workforce issues and rising costs, especially business rates and rents. So we set out at Deliveroo to use our scale and understanding of these pain points to try and leverage our size and network through partnerships with providers such as Wrkit. That has allowed us to offer more to our Restaurant Partners helping them meet the challenges of operating in a diverse but highly competitive market. “Because we’re looking at the challenges of recruitment and skills shortages, as well as providing lifestyle benefits, Wrkit stood out from other providers as it has a focus on learning and upskilling modules. “We also found that Wrkit saw the opportunity to work with us and be flexible. Having only launched Restaurant Partnerships in May 2018, when negotiating with Wrkit we had no real results of how such a scheme would perform. Peter and the team had to take a leap of faith with us, and they were willing to do so. That’s what we needed in a partner. “This partnership is the first of its kind and sends a clear message to our restaurants that we want to be more than just a delivery partner to them. It helps distinguish our value proposition and is delivering a really valuable programme for our restaurants to enable them to give tangible benefits to their staff. We’re also delighted at the uptake of Wrkit’s learning modules across our partner restaurants, showing a demand for upskilling existing workforces.” adds Rae. For a company with 24 staff, Wrkit has succeeded in getting in front of some of the world’s biggest names. It counts many multinationals and public sector organisations among its clients including SAP, Microsoft, KPMG, FedEx, Vodafone and the NHS. And while its largest market is currently the UK, where it forecasts rapid growth, it is also looking to the US. “The big challenge for a company like us is where to start in the US. We’re lucky in that, due to the popularity of Ireland as a location for US companies, we can often begin the connection with a branch in Cork before moving to the headquarters in California. We’ve also been supported by existing clients that have staff in the US, for example Bank of Ireland and The Doyle Collection. They allowed us to build out our product and, as a result, we connected with a large recruitment company based in Boston. We entered into a joint venture with them and they are now introducing our product to their extensive list of customers. We’ve had some tremendous success already and now have two staff based in Boston,” says Jenkinson. Another source of support is Enterprise Ireland. The trade agency facilitates connections between Irish and overseas companies through a range of activities including events in key cities. Just six months into the new modular format of Wrkit’s product, sales are buoyant. But while a doubling of turnover is on the cards just from selling the new modules to existing customers, Wrkit is not resting on its laurels. Companies are being reshaped as the nature of work changes. For many, the 9-5 workday and the workplace itself are no longer relevant. Amid a rising global trend towards a ‘flatter organisation’, Irish company Abodoo champions the success of small scale, decentralised business units, or self-contained work groups, that operate from co-working hubs, smart villages, and the home. Abodoo developed a business strategy to support its goals of becoming synonymous with the smart working community and a force for change within the business world. Collaborations include Vodafone, with the promotion and support of remote working for Irish businesses. The two companies are working together to educate employers on the benefits of smart working, including attracting and retaining talent, promoting diversity, inclusion and a healthy work-life balance. The partnership is intended to provide direct support to the Gigabit Hubs initiative from Vodafone and SIRO (a broadband joint venture between Vodafone and ESB (The Electricity Supply Board), a state-owned electricity company operating in Ireland). The hubs provide one gigabit broadband connections – considered the gold standard of internet access internationally – free for two years to businesses and remote workers. Abodoo is ahead of the game – aware that economic and social changes mean that people have complex lives within and beyond work. The company’s far-sighted co-founders Vanessa Tierney and Ben Wainwright saw the benefits for businesses to evolve their employer model and embrace smart working. Companies that are lean, agile and quick to respond to change now have an edge. Sourcing the very best talent, not restricted by location, and providing a smart working environment, in which employees can choose to work from a remote location is becoming a norm. These changes can also create a culture in which employees are truly empowered. People are not measured on the time they spend in the office but on the quality of their output. Abodoo knew that it needed to offer the right digital platform and a unique service, which differentiated it from traditional recruitment practices, supported by education, to help companies achieve the benefits of a correct balance between business and individual needs, professional requirements and working patterns. Its solution is enabled by advances in technology, including broadband connections, Wi-Fi, web conferencing, secure data transfer, and cloud-based software, which allows access to information and customer data from any location at any time. Helping businesses to solve complex recruitment challenges every day, Abodoo stands apart in many ways, not least in its unique matching algorithms. Candidates complete a profile rather than a CV, which supports matches with exact parameters. Profiles are anonymous until the interview process, eliminating any unconscious bias based on identifiers. One of Abodoo’s strengths is its entrepreneurial approach to business. It is an organisation that is quick to respond to new ideas and new ways of working. Its structure focuses on servicing diverse customer needs in a fast-changing global marketplace. 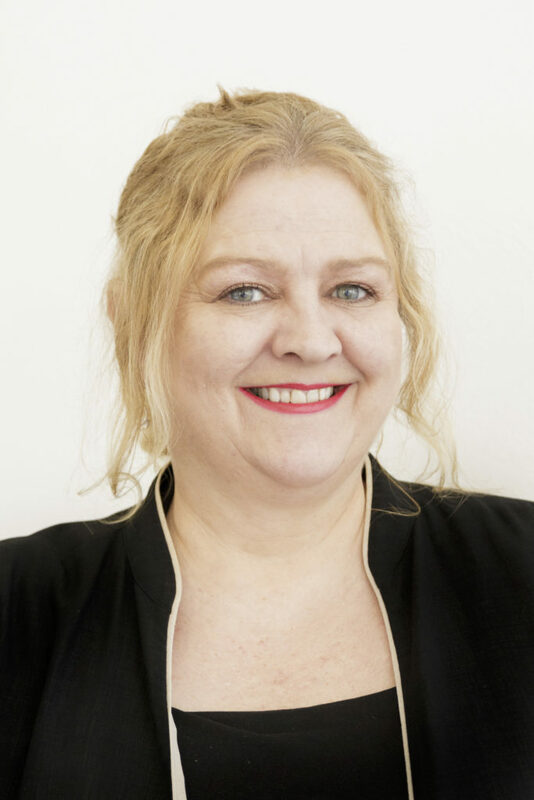 Sue Marshall, CEO of Abodoo, credits the support received from Enterprise Ireland, the Irish Government’s trade and innovation agency, as crucial to its success and ambitious growth in the United Kingdom in 2018, and its planned expansion into the US in 2019. An increasingly complex workplace requires an increasingly skilled recruitment sector, attendees at the World Employment Conference, sponsored by national export agency Enterprise Ireland, heard. Radical changes in how organisations are structured and how employees work, driven by fast-changing technology, means that “where once people had a narrow career path and a defined skill set which they could trade on, they are now engaging in a kaleidoscope career,” said Colette Darcy, Dean of the School of Business at National College of Ireland, and a senior lecturer in HR. NCI is working with Ireland’s National Recruitment Federation to find ways in which the recruitment industry can best respond to changes that are taking place in client organisations. The project has identified a need to professionalise the industry, “so that clients can have comfort in the quality of recruiters they are engaging with,” Darcy said. To begin with, the industry aims to develop professional apprenticeships, similar to those recently introduced in the financial services domain. The apprenticeship model would combine academic learning with on-the-job application, which would be of value to the rapidly-changing recruitment industry. Having suitably qualified staff could become an important differentiator for agencies in a crowded market and the intention is also to develop programmes at higher professional levels. Education is now of strategic importance to the industry, said Karen O’Flaherty, chief operating officer at Morgan McKinley, the recruitment agency. It takes a significant length of time to onboard staff in the industry and the level of attrition is high. Apprenticeships offer the potential to attract staff to individual agencies, as well as boost the profile of the recruitment sector as an employer overall, she said. Such accreditation will be welcomed by clients, particularly multinational ones for whom an employment agency “has changed from being what used to be a transactional need to fill a role, to how they can develop a better pipeline of future talent for the organisation,” said O’Flaherty. Just as book keeping evolved into accountancy, thanks to education and increased professionalisation, recruitment can evolve too, said Jonny Campbell, CEO of Social Talent, an Irish recruitment training company. Better recruiters mean better matches for clients. For example, social skills are increasingly required by clients, particularly in project management and IT. “Clients are looking for candidates with high-level interpersonal skills, who are able to relate to people across all levels of an organisation. The irony is, the more digital we become, the less capable people are of doing that,” said O’Flaherty. This chimes with Campbell’s experience developing curricula for recruiters over the past eight years. “I’ve seen the evolution of what we deliver to customers go from very technical tools, processes and technologies to our top requests now, which are around project management, leadership, psychology, influence and storytelling,” he said. Recruitment is “one of those roles where you have to do the job to understand it,” said Campbell, which is why on-the-job training, either via apprenticeship or through bite-sized online chunks on-demand, are so valuable. “We see formal education as one piece of the pie, and that continuing professional development has to be there as well,” said Darcy. Composing short term, freelance, on demand, and contingent workers, the gig economy is currently valued at US $3.5 (€3) trillion globally, according to Barry Asin, president of San Francisco-based Staffing Industry Analysts (SIA). “That puts it on a scale with just about any major industry in the world, including oil, gas and retail,” said Asin, speaking at the World Employment Conference in Dublin, sponsored by national export agency Enterprise Ireland. A recent SIA survey asked Fortune 500 companies what they are doing to manage gig work. More than 70% said they are using a vendor management system (VMS), an electronic platform to track all suppliers. Over 60% have a network service provider in place to help with IT systems. Looking to the future, most respondents reported that contingent work is now part of strategic planning – something they are thinking about long term, as opposed to tactically, Asin noted. It is one reason why the concept of total talent acquisition (TTA) is gaining currency within organisations. Some companies are choosing to self-source, using their own career site to attract contingent workers. While the tech story of the past decade has been the growth of VMSs and jobs boards, as ways of connecting talent and companies, the new story is the growth of online platforms, forming what SIA calls the ‘human cloud’. “Labour markets are tight right now, and recruiters are competing for talent with online platforms that have made it easy for people to get jobs and to work when they want,” Asin said, citing the rise of Uber and Deliveroo as examples. Such companies allow people to choose when they want to work, without the need for a human intermediary. Contrary to popular perception, the trend is not about sourcing cheaper labour but access to talent, “because talent is in great shortage,” Asin said. While only 13% of large companies surveyed by SIA currently use online staffing, their interest in doing so has grown significantly. It remains to be seen to what extent it will disrupt the traditional recruitment industry. “The answer is about human behaviour, and what it takes to get people to adopt [new solutions],” he said, noting that only 24% of large companies had a VMS in place before the 2008 recession. For those in the traditional recruitment industry, it is time to adopt a “disrupt or be disrupted” mindset, Asin said. A raft of hybrid tech-rich recruiters have emerged that are doing just that, combining both human and platform elements, including ShiftGig in the US. There has been convergence in the industry too, such as Randstad’s purchase of freelance platform Twago, and the purchase by global HR services firm Adecco of digital recruiter Vettery. True Blue is the US’s largest industrial staffer, with JobStack its internal take on an online platform. Within two years of JobStack’s launch, 25% of its placements are filled with no human intervention. “And the tech is not stopping, which is, mostly, a good news story for the industry,” Asin said, improving efficiencies and automating tedious manual work, such as scheduling interviews. Chat bots are already moving into the area and could well move into matching, he said. Human resources professionals are familiar with the idea of a “war for talent”. What they may be less familiar with is how that, by now well worn, phrase can be a barrier to good HR practices. Speaking at the World Employment Conference in Dublin, sponsored by the national export agency Enterprise Ireland, Social Talent founder Jonny Campbell spoke about the phrase’s origins, in a highly influential McKinsey report published in 1998. Campbell established e-learning company Social Talent in 2010 and it is backed by Enterprise Ireland. Today, the company has 60 staff and is the largest provider of training to the recruitment industry in the world. Selling into 90 countries, it has trained and qualified up to 30,000 people via its online platform. This success, plus Campbell’s previous career as a recruitment executive, gives him a bird’s eye view of how the industry is changing, and how it needs to develop to cope with future change. The McKinsey report of 1998 asked if a company made ‘improving its talent pool’ one of its top three organisational priorities. “The thesis was that the organisations most likely to succeed were those most successful at attracting, developing and retaining talent. But as an industry we latched on to just one word – attracting,” said Campbell. The concept of talent acquisition was born, and huge amounts invested in talent acquisition strategies. “Talent acquisition is still very much the hot topic of organisations, attracting the best talent into their business. But 20 years after this report, if you look at all the investment that has gone into it, new tools, things like LinkedIn, and the development of artificial intelligence, yet we still complain about these skills gaps,” he said. This is true across health care, life sciences and technology, in particular. “We don’t have enough people with the right skills but ironically, we have loads of people. This is an interesting dilemma. We’ve lots of people, but no skills? No talented people? That just doesn’t feel right to me,” he said. The solution is working together to develop talent from within. Doing so requires a breaking down of the silos separating talent acquisition, talent development, and HR administration. It also means hiring not just for IQ, or its successor, EQ, but for LQ – a person’s learning quotient. “What organisations like Accenture do now is hire for your ability to learn new stuff again and again. This is because they know the skills they hire for today are not the skills their clients will need in two, or four years. And if they keep hiring for the skills they need today, there will be a constant cycle.” What they want are people who are willing to change, who can take on new skills, and who can adapt, “because that is going to be their core strength in terms of evolving their organisation,” said Campbell. He referenced a pilot study being undertaken by Electrolux, the kitchen appliance maker. It is looking at taking staff out of areas in which they have worked for a long time, such as logistics, and putting them into areas such as R&D, with training support. The workers chosen for the pilot were happy because of the opportunity to change, develop and learn new things. The new product development team, in this particular case, got fresh insights, while the company “was delighted because they couldn’t get enough product developers,” said Campbell. One of Social Talent’s clients, Cognizant, has taken a similarly innovative approach to the global shortage of data scientists, training and certifying its own in 90 days. For the recruitment industry, “joining up the dots” to deliver on that will be the key to success in the 20 years ahead. Human resources departments are being challenged, not only by the pace of change in business, but by changes in the expectations of employees too, delegates at the World Employment Conference in Dublin heard. Delegates at the event, of which Enterprise Ireland was a sponsor partner, heard that effective talent management in a digital era requires the HR function to “move and think differently, and to do it with pace and agility,” according to Joe ffrench, HR Director at Microsoft. Doing so in an organisation with 120,000 direct employees and 80,000 indirect ones “can be hard”, ffrench admitted, but it also puts him in a good position to identify new HR trends, likely to be of interest to a range of recruitment solutions providers. Chief among these is a rapid change in skills requirements, said ffrench, citing the World Economic Forum, which cautioned that by 2020, 50% of what a person doing a four-year technical degree learns in first year will be obsolete by the time they graduate. In business, it’s already happening. “Three years ago, we wouldn’t have talked about the need for skills in machine learning, augmented reality, and quantum computing. So what is incurred in theory in academia is also being experienced in our organisation, and at a much quicker pace,” said ffrench. Some 40% of senior leadership roles in Microsoft didn’t exist two years ago. One in three of its executive leadership roles didn’t exist just a year ago. Employees’ needs are changing too, including in relation to flexibility. Hiring people for capability and building a sustained engagement with them in order to harness them at the right time is now key for Microsoft, he said. Thinking this way has opened up new pools of talent for it, including school leavers joining as apprentices. The company is reassessing how it engages short term freelancers too. The aim is for ‘gig’ workers to see Microsoft as a destination of choice in the way permanent recruits do, he said. This means ensuring it has a culture that is willing to listen to and learn from outsiders. Microsoft has changed its performance management system, scrapping traditional “1 – 5” ratings, he said, citing former GE boss Jack Welch’s dictum that if the rate of change outdoors is quicker than the rate of change indoors, there’s trouble ahead. Brian Crowley, founder and CEO of EI client TTM Healthcare, said his own organisation has been on a “journey of transformation” over the past 18 months. “We went deep inside our organisation to try and find our ‘why?’ To try to figure out what makes us special, or doesn’t,” he told the audience. It came up with a vision: to enhance the quality of people’s lives. “That includes our own 400 staff, the people we care for in our healthcare business and homes, and the 2000 temporary staff that work on our behalf on our customer’s sites. Then we went to find values that can stand in service of that vision,” said Crowley. What emerged from the whole process was an understanding that what underpinned both its vision and its values, are the behaviours of its staff. Globally renowned Rolls-Royce, which today designs, manufactures and distributes power systems for aviation and other industries, was an early adopter of solutions developed by Sonru, an Irish technology company that has pioneered the use of automated, asynchronous video interviewing to help businesses find, select and recruit talent. “Sonru has been really helpful to us, in terms of efficiencies,” explains Sue Anne Lee, Rolls-Royce’s head of talent and leadership development Asia Pacific, based in Singapore. Using Sonru’s solution allows candidates to record video interviews at a time and place that suits them, while also allowing employers to watch them back at their own convenience. The solution works by enabling recruiters to replicate a live interview, replacing early-stage phone, Skype or face-to-face interviews. Because neither party has to be online at the same time, recruiters don’t need to worry about scheduling, time zone restrictions, or no-shows. Employers have full control of the questions, allowing them screen out unsuitable candidates – and meet the best ones – much earlier in the recruitment process than traditional methods allow. Based in Wexford and Dublin in Ireland, Sonru has offices in the UK, Singapore, and Australia. The company has more than 500 enterprise clients, including Fortune Global 500 companies, and is translated into 19 languages, capturing thousands of interviews every day in every corner of the globe. Another reason behind Sonru’s global success as a candidate selection tool is that it has been designed to provide a very high-end experience even at very low broadband speeds. Doing so widens the talent pool, enabling employers to source candidates from places around the world that may not yet have high speed broadband, such as parts of Asia and Africa, he says. “The product is quick and easy to use and 85% of candidates are sitting at home as they make their video, with 60% of them doing so in the evenings and at weekends. It’s all about convenience,” he says. Candidates are given preliminary questions to help them get comfortable talking to the camera. Then, once they start the interview proper, it’s recorded in one go. “That’s what customers want, to capture the entire interview process, not a rehearsed and polished version of it,” Hendrick adds. Delivering a more efficient and accessible experience to clients and candidates across the world, Sonru is a trusted asset to global businesses in the worldwide war for talent. Healthcare providers across the world face a range of challenges in today’s climate. The impact of some of those challenges, such as government cutbacks and legislation changes, are felt mostly within the confines of a particular market, while others are shared across regions. One challenge is almost universal – how to keep busy hospitals appropriately staffed. The challenge of providing acute or enhanced care at different times across the week, month or year is experienced by almost all healthcare providers worldwide. Irish company TTM Healthcare is responding to that challenge. Founded as a one-man operation by Brian Crowley in 2002, the company now employs 375 staff and 2,000 locum healthcare professionals. The capabilities that enable TTM Healthcare to solve staffing challenges for clients in a number of ways have helped fuel the organisation’s substantial growth. “One of the most significant challenges faced by healthcare providers globally is their ability to first find qualified staff and then flex resources up and down during periods of increased and suppressed demand for their services and labour force. “To solve these issues, we work with public and private healthcare employers to find, recruit and up-skill healthcare professionals from around the world,” Crowley explains. “In addition, we provide English-language training and mentoring through skilled professionals. Through a combination of our learning platform and our English-language mentors we support thousands of healthcare professionals for whom English or German is not a first language. This system has proved incredibly popular. One in five nurses recruited to the NHS from overseas arrives via TTM. Crowley describes the company’s planning and contingency supports as “a second line of defence with their internal staff-banks”. Peter Savage, Staff Bank Manager of The Newcastle Upon Tyne Hospitals, has been working with TTM for a number of years, and says the company’s system helps fulfil his complex set of needs. “Ours is a very busy market and there is a temping staff shortfall. “We don’t know what our demand will be day-to-day or shift-to-shift. But TTM’s strategy for how to best use the available staff works well for us. Savage adds that the “co-existent” relationship with TTM is an example of how NHS Trusts and vendors should work together – to the extent that he himself recently used it as a training example on the subject. Crowley also attributes some of the company’s successes to its Irish Advantage. Businesses from Ireland are flexible, resilient and innovative, with the Irish personality also playing a role. “Similar to the Irish economy, we are a nimble, progressive and innovative company. The value of Irish ‘stock’ globally is significant, and people and organisations from around the globe are consistently keen to engage with us as an Irish company. Values that are truly Irish such as positivity, resilience and innovation are lived by our people in all of the interactions with our customers overseas. Peter Savage notes the Irish way of doing business made a big difference to him at the start of, and throughout, the relationship. “TTM put themselves out there and approached us,” he says. “The way that we talk to each other here in the north of England is very like in Ireland; we’re straightforward. We speak our mind and are open to being open on both sides. With an investment from Broadlake Capital two years ago, TTM has seen significant growth. Crowley doesn’t see why year-on-year double digit growth should stop. “100% of our growth has up to now been driven organically but acquisitions, mainly in international markets, will support growth into the future,” he says, adding that the uncertainty of Britain’s relationship with Ireland and the EU won’t put a dampener on progress either. “As a multi-framework provider to the NHS in the United Kingdom we are planning to grow our services significantly over the next three to five years, regardless of the indefinite status of Brexit,” he says. When the founders of many businesses are asked about their company, many will talk at length about the internal successes they’ve enjoyed, or wax lyrical about a key product. Crowley, on the other hand, says that his company’s vision is something greater altogether. “Our vision is to enhance the quality of people’s lives – our customers, the people we care for and, more importantly, our own people. As an organisation that’s grown significantly over the last number of years, we have focused very closely on working alongside our customers, and building our services and structures ‘from the outside in’. Market leader’s software puts internal communication at the centre of employee engagement and financial performance. When many of the world’s biggest companies want to solve complex challenges in their communications with global workforces, they look to a small and highly innovative Irish software company, Poppulo. With employee communications widely recognised as crucial for engaging workers and business success, Poppulo has developed unique software used by global giants Unilever, Coca Cola, McDonalds, Nestlé, Nike, Rolls Royce, Barclays Bank, and nine of the world’s twenty biggest pharma companies. Cork-based Poppulo developed the world’s first all-in-one internal communication (IC) platform which gives organisations the power to manage their communications, and measure their impact, across multiple digital channels, email, intranet, video, enterprise social networks etc. Not only does Poppulo make it easy to disseminate highly-targeted internal communications, it gives IC teams visibility on how different audiences interact with those messages. For example, are emails read or ignored? Is there a difference in how messages are received depending on business function, employee grade or geographic locations, and how should the organization respond to these differences? Poppulo founder and owner Andrew O’Shaughnessy says successful companies are acutely aware of the crucial role internal communications plays in employee engagement and talent acquisition. “This has never been as important as it is today for two reasons: a global employee engagement crisis plus a worldwide talent and skills shortage,” said O’Shaughnessy. “Gallup research shows an alarming 87% of employees are not engaged, and last year the Manpower Group’s global survey reported the worst talent shortage in over a decade, with 40% of over 42,000 employers finding it difficult to fill jobs,” he said. “And to underline further how valuable engaged workers are, not only are they more committed and productive than their non-engaged colleagues, PwC research shows they are also 87% less likely to resign,” says O’Shaughnessy. “So it’s difficult to overstate how important it is for organizations to do everything they can to foster engagement, and one of the key ways to do this is to ensure they have excellent employee communication systems, processes and technology – which is where we come in,” says the Poppulo CEO. He cited Willis Towers Watson research that companies with excellent internal communication strategies are likely to outperform their industry peers by a factor of 3.5. Likewise, Gallup found that companies with highly-engaged workforces outperform their peers by 147% in earnings per share. A PwC report found that companies that engage and empower their workforces are more nimble because they are better positioned to anticipate and adapt to changing market conditions. “There are companies that give their employees ping pong tables, bean bags and free fruit,” says O’Shaughnessy. “But those initiatives will have no impact if your employees aren’t engaged. They will just play ping pong, sit in bean bags and eat fruit, without being engaged in the company’s mission and its business goals. By improving employee engagement, you improve employees’ experience of working for your company. That advantage in turn helps companies to win in today’s war for talent, by improving their employee recruitment capability and employee retention rate. “In the software industry, people are comfortable with the term ‘Net Promoter Score (NPS) which is a measure of how likely a customer is to recommend you,” says O’Shaughnessy. “And regarding the metric of choice for engagement, companies are increasingly focusing on the Employee Net Promoter Score (ENPS). “Our software helps organizations measure engagement with their employee communications, which is a critical component of overall engagement.” he says. Poppulo has trebled in size in recent years, now employing 180, mainly at its HQ in Cork and also in Boston. It recently appointed a representative in Australia and is planning further expansion, having enjoyed revenue growth of over 40% for the the past two years. It currently has over 900 customers in over 100 countries. The company initially focused on the UK market before setting its sights on the USA, where it has lengthy client list of large multinational corporations, and is growing further in Europe, particularly in the Nordic and Benelux countries, and France and Germany, as well as expanding into Australia, the Middle East and India. Key to Poppulo’s success is its focus on building and maintaining strong client relationships. “Building long-term relationships is key for us,” says O’Shaughnessy. “We are extremely close to our customers. Understanding their internal communications challenges is crucial to ensuring that we provide the IC solutions that they need, which is why we make sure to involve them in all aspects of our product development, for example. “We are totally aware that people can find tech difficult and sometimes overwhelming, especially when you’re talking about installing new systems. So we always have that at the forefront of our minds and go out of our way to ensure that we’re not a tech company acting and talking like lots of tech companies do. 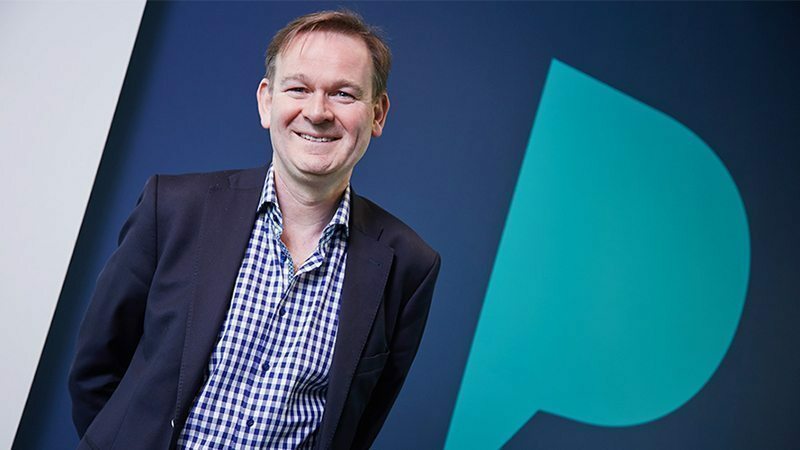 “We’re a company that happens to produce great software but we’re all about engaging people in everything we do and in a very human way, to help our customers become even more successful than they already are” says O’Shaughnessy. Earlier this year, Poppulo increased its Top 10 placing in Ireland’s Great Places to Work awards, moving up to #6 from last year. when the company was particularly thrilled to win the award for being the best company in Ireland for communicating with its employees. O’Shaughnessy was delighted: “There is a parallel between what we bring to our customers and my own personal view on how to run an organisation and how to treat people. It is a huge responsibility to have people coming into this company five days a week, year after year. Elizabeth McHenry, Senior Development Advisor at Enterprise Ireland, describes how Irish companies are leading the global talent management sector. Hiring exceptional talent has become an international business. With Polish programmers recruited by Spanish software companies and Italian IP lawyers hired by German manufacturing companies, the war for talent is more heated than ever. Those seeking work no longer scour weekly job vacancy adverts in local newspapers. With the rise of online recruitment, job hunters have 24-hour access to information about all kinds of career opportunities and get instant “job fairy” updates on social media, online platforms, and email newsletters. Companies across the world are winning their talent management battles thanks to the support of Irish partners. Providers of outsourced recruitment and retention services in Ireland have established a reputation for being very helpful and very resourceful, as they assist global employers with HR needs. One reason Irish companies succeed in international recruitment is because they have established a reputation for being innovative and flexible. With English as a native tongue, many of the world’s biggest employers find Ireland an attractive market to position themselves in. Irish companies that service multinational firms with Irish operations must also deliver international standards of service. Once a company successfully assists a large multinational in one location, for example sourcing staff for an operation in Galway or Cork, they are likely to request support in other locations, for example locating employees in Paris or Amsterdam. As Ireland is a small country with a relatively small population, Irish companies with ambitions to grow focus on targeting international markets early in their development. For companies in the talent management sector, advances in technology, social media and electronic communication have enabled Irish firms to develop disruptive services and technologies that provide clients with flexible and innovative talent management solutions. TTM Healthcare is an Ennis-based global healthcare recruitment company that handles the hiring of one in five nurses working in the UK’s National Health Service (NHS). TTM Healthcare works in partnership with various NHS Trusts to fulfil staffing needs by identifying and matching potential candidates to vacancies and ensuring compliance by confirming candidates’ professional backgrounds, including qualifications, work permits and required health immunisation certificates. A second Irish recruitment agency worth noting is Morgan McKinley, which specialises in sourcing and placing professional services personnel across the globe. Headquartered in Cork, and with 19 offices situated all over the world, Morgan McKinley has won Best Banking and Financial Services Recruitment Agency awards in the UK, Hong Kong and Tokyo. Global organisations use Irish company Sure Skills to train and upskill technical sales people. A large software client wanted to understand why its Irish sales team was outperforming sales teams in other countries. After conducting research, they attributed the difference in performance to the calibre of training provided by Sure Skills. The company was then contracted to deliver staff training at locations across the world. Sonru has pioneered the use of automated online video interviewing to screen candidates before they are called to face-to-face meetings or one-to-one video conferences. The automated interviewing system, used by Rolls Royce, Qatar Airways, Pepsico UK, CERN, Primark and Nestlé, allows candidates to conduct preliminary interviews at their chosen time. No scheduling is required by recruiters and ‘no shows’ are not a problem. The system gives clients an early and enriched understanding of a job applicant’s fit, personality, drive and motivation, saving time and money. Social Talent is a SaaS company that helps recruiters and recruitment companies to better use social media to engage with prospective candidates. Social Talent have situated their HQ in Dublin’s booming Docklands where many multinational firms are now relocating to. The business has developed a complete learning solution for recruitment and a sales team that focuses on moulding, and sustaining, productive behaviour. Client companies include Oracle, Intel, Microsoft, AXA, GSK, Manpower and the Dutch multinational HR consultancy Randstad. Globoforce is a specialist in social recognition systems that help talent management teams connect employees with corporate values and cultures. They reward behaviour that aligns with that culture or further the company’s strategic goals. Intuit, the financial software company, credit Globoforce which helped them to achieve a sustained ‘double-digit’ increase in employee engagement among 8,200 employees in six countries. The software company Symantec have reported a 14% increase in employee engagement, with Globoforce contributing towards a 50% reduction in staff turnover and churn.